Meet my new kitten Caesar!!! 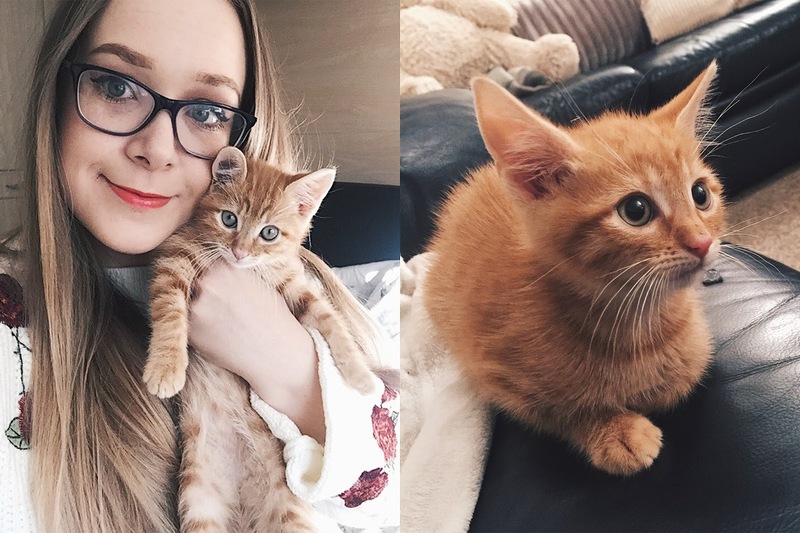 I've wanted a little ginger cat for as long as I can remember, and have been bugging Jordan and trying to convince him to get a cat ever since we moved in together in June. 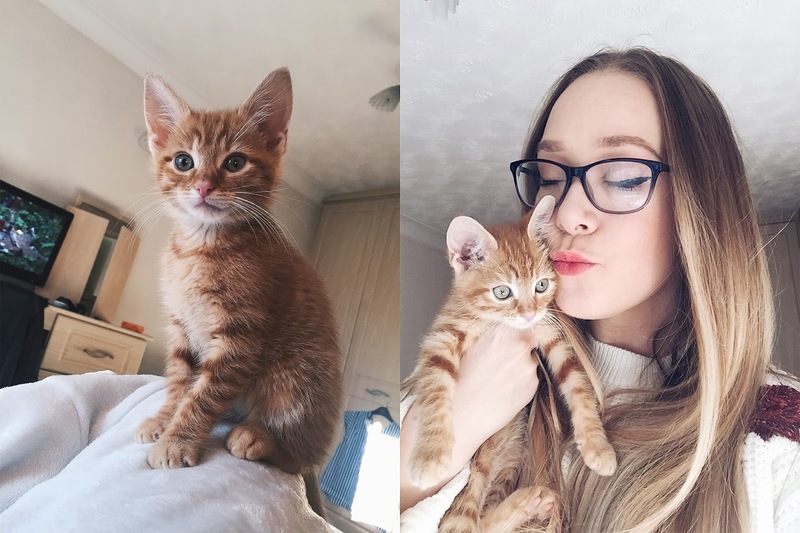 About a month ago he finally said he was happy for me to choose any cat or kitten as part of a Christmas present and I was over the moon! I contacted a few cat rescue charities and had visited a cuple of places when I found him. 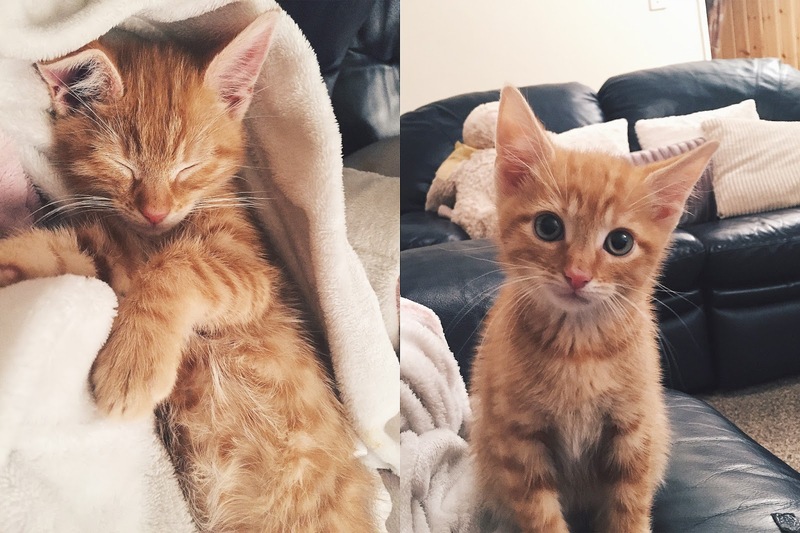 The cutest little bundle of joy was born in foster care and his whole family was looking for a new place to stay. I chose him out of a couple of his adorable brothers and sisters and have never looked back. He's 11 weeks old tomorrow and is still a tiny little thing - about the length of two of my hands. 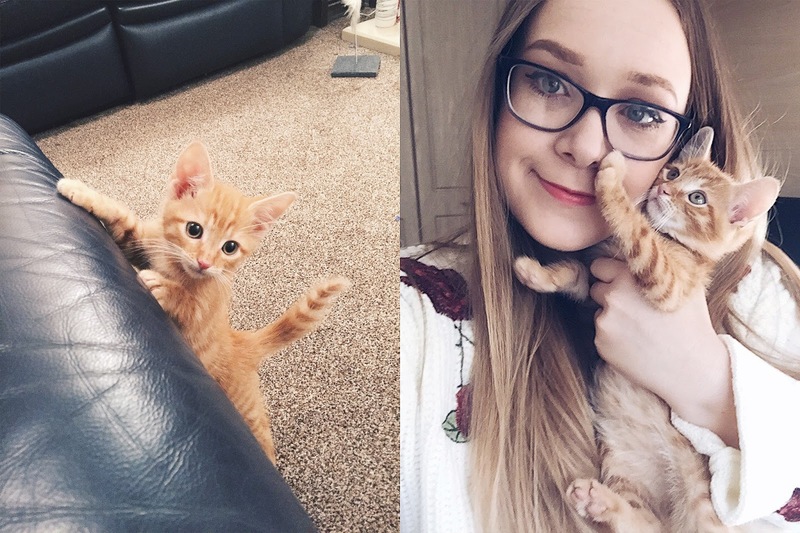 I had a cat at my parents house for about 6 or 7 years so knew I really loved them, but having your own compared to a family cat is more amazing than I ever thought! He follows me around the house, gives me a wake-up call at 7 ish every morning when I need to wake up for work, and tries his best to keep me company at all times. Including writing blog posts, eating meals and even when in the bathroom if I forget to shut the door! He always cheers me up and makes me laugh, Caesar is already my new bestie! In case you're based in the North West of England and are looking to adopt a cat or kitten, here's Little Tinker's Facebook page! you both looks beautifull & amazing pictures darling..